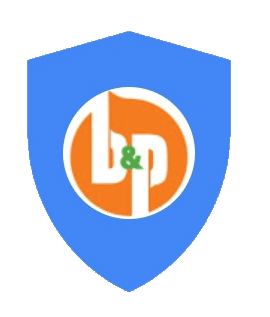 Here at B & P Painting Company we try our best to provide valuable content to our readers as a top painting contractor in Ann Arbor. The above video will continue our home painting series. Today we're going to go over step seven in the painting process, and that is spray painting your house. This is a continuation of the exterior painting series. After this step we will move to more finesse work by working with the trim. The 5th step is the moment you’ve all been waiting for: painting! Although many people like to use rollers, spray painting your house is a very efficient way to paint your home. You can lay down paint faster, and the results are extremely professional. However, there are some special considerations with spraying. This is the biggest part of the job, and you’ll need a lot of different components. The most important is a sprayer and a nozzle. These can be expensive, so it’s probably best to rent one. You’ll want to buy some throat seal, which lubes up the moving parts of the sprayer and keeps it running well. Of course, you’ll also need your paint. For an external job, we usually recommend buying this in large buckets. You should also have a heavy duty extension cord. Make sure it’s long enough that you can get to all the different areas of your home. For prep, you’ll need two buckets. One will be filled with clean water, the other will have a paint strainer inside. It’s important to protect yourself when spraying. Make sure you wear a respirator, gloves, and goggles. Take your paint and pour it through the strainer into the bucket. This will remove any solids that could clog up your sprayer line. Remove the strainer and use a gloved hand to squeeze the liquid paint into the bucket. Once you’re done, rinse off the strainer in the clean bucket and let it soak. Next, fill your sprayer with water and string out the line so there are no kinks. You’ll want to quickly turn it on and pull the trigger to make sure that clean water flows through it. Once the line is fully primed with paint, you can put the inlet nozzle into your bucket of paint. Turn the pump setting to prime and pull the trigger. Nothing will come out of the hose, but the sprayer will fill with paint. After running it for a minute or so, you can flip the switch to spray. Point the nozzle into your bucket and run it until fresh paint comes out. You’re now ready to spray! Before you start blasting your home with paint, you’ll want to understand the motion of spraying. You’ll be making smooth, consistent, side to side motions to get an even coat of paint. Imagine as if you’re drawing a long extended S down the side of your home. The goal is to get the paint evenly applied. When you rotate the nozzle to change direction, you briefly slow down. This can leave a big glob of paint in the corners. To get around this, make a quick flicking motion with your hand and let go of the nozzle. You’ll be holding the trigger through the horizontal parts, briefly letting go in the corners. Work down your home from top to bottom. When spraying, stand in one place and cover an area as large as your reach provides. Move systematically across the house, ensuring that your body is positioned to cover any blind spots. Two special areas to pay attention to are the roofline, gutters, and door frames. For the roofline and gutters, you might want to use a brush to spread the paint into small gaps. Before doing a doorframe, it’s important to make sure that the masking tape is properly affixed to the home. Once the first coat is applied, you’ll use a roller to backroll the existing paint. This helps spread it around and absorb it into the wood. After you’ve laid down your first coat, go back and inspect your work. Once the paints had a chance to dry, any faint spots will be obvious. Applying the second coat is similar to the last step, with two key differences. First, you’re going to focus on balancing out coverage in weak areas. You’re also going to want to apply a lighter coat to get a nice, even finish. Spraying a house can be intimidating, but once you know the basics it feels natural. This step takes a bit of work, but your home will look brand new once you’re done. After taking a well-deserved break, you can move on to the next part in our series: staining a deck!